Burrowed away in Sri Lanka’s largest National Park, you’ll find Leopard Trails, a first class campsite where five-star luxury is the only thing on the menu. Redefining safari style, Leopard Trails brings modern convenience and a natural elegance to the wilds of Sri Lanka, all the while staying true to the romanticism of colonial adventure. 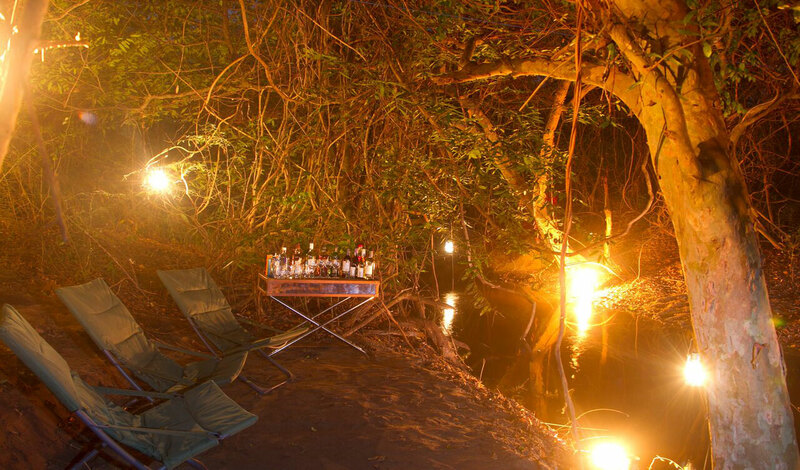 Accommodating no more than 15 people at any one time, the camp is the height of exclusivity and offers true immersion in the sights and sounds of the wilderness. Bounded to the North and South by the Modara Gamaru and Kala Oya Rivers and peppered with large lakes, known as ‘villus’, Wilpattu National Park provides the perfect setting for spotting game, even in times of drought. As the name suggests, leopards are a speciality here, but highlights also include sloth bears, barking deer and Asian elephants. Not only famous for its fantastic array of wildlife, Wilpattu is also of great archaeological and historical importance, making it a fascinating park to explore. 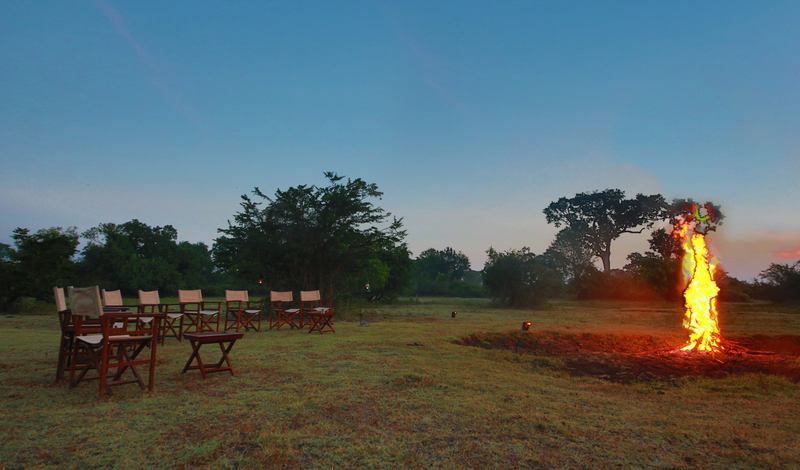 Artfully combining old world hospitality with contemporary flair, Leopard Trails’ bespoke tented safaris bring a new level of modern comfort to the safari experience. After a day exploring the National Park, return to your elegant tent where a sumptuous bed and fully fitted bathroom await you. As you drift off to sleep at night, you can’t help but experience a sense of spectacular solitude with just the canvas walls of your tent separating you from Sri Lanka’s remarkable natural wonders. If you asked us to rank our favourite world cuisines, Sri Lankan would definitely be up near the top, with its fragrant spices and endless array of colourful curries and sambols. Working out of simple jungle kitchens, the chefs at Leopard Trails whip up some of the best and most authentic dishes around, spiced to perfection to complement the equatorial sun that beats down over the National Park. Dinner is never a dull affair here with delicious dishes tailored to your taste buds, served in ever changing locations, but always featuring a backdrop of starry skies. Lavish living, wondrous wildlife and charming cuisine, what more could you want from a luxury safari?